Looking back, Tom has written so many songs, touched so many lives, mentored so many young musicians. This legendary contemporary Catholic composer has a legacy to be proud of. 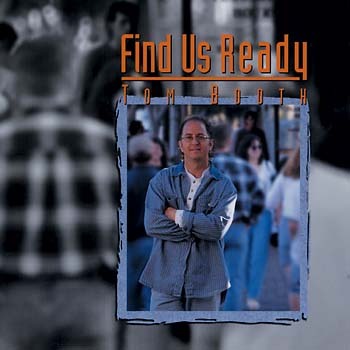 Tom brings his powerful performing style to concerts, parish missions, conferences and youth events, mixing story, song and prayer to create unforgettable experiences for audiences around the world. He is a veteran of major national and international conferences and gatherings. Nativity of Our Lord in Rhinelander, WI welcomes Tom Booth. Please contact event host for further details. Drawing from Scripture, saints and mystics -- Thomas Merton, Charles de Foucauld and Teresa of Avila among themthe lyrics have startling theological depth. Contemplative, candid and serious, they challenge us to give Christ exclusive allegiance in our lives. Some tracks feature lush orchestral arrangements by Grammy-nominated Nashville legend Don Hart. Its the perfect musical frame for these devotional texts. Players include Dave Cleveland on guitar and Carl Herrgesell (Elton John, Kenny Loggins) on Hammond organ and keyboards. Loving God is more than "singing this song"
The album opens with "Can We Love?" This string-based ballad contends that loving God is more than "raising our hands" or even "singing this song." The refrain echoes Christs challenge to James and John: "Can we love? Can we lay down our lives? Can we wear His crown of thorns?" The intense, acoustic title track warns against building our house on sand, our lives on selfishness. Separated from Christ through pride, we construct monuments -- doomed to fall. Randy Severences poetic text is unflinching: "under the weight of my own importance, / I am crumbling into a thousand grains of sand." 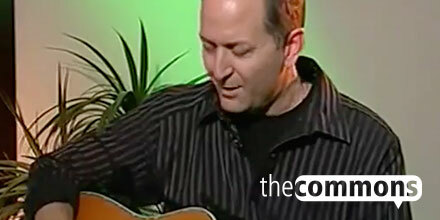 Beautiful ballad urging us toward "the poverty of Jesus"
"Empty" touches on these same themes. Another beautifully arranged ballad, it urges us to move "toward the poverty of Jesus," who emptied himself for us. Robert Feduccias refrain echoes both Job and St. Augustine: "Empty I came, empty I leave, / my heart is restless without you." A lesson in detachment a la Lilies of the Field, "God Alone Is Enough" is a rock anthem that includes snippets from the famous poem by Teresa of Avila. "O Salutaris Hostia (O Saving Lamb)" only adds to the devotional nature of the collection. 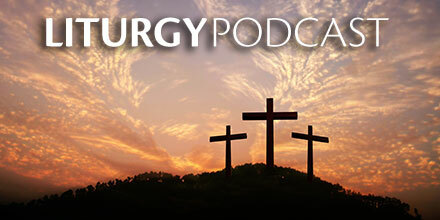 It's a welcome new contemporary setting of the timeless eucharistic hymn by Thomas Aquinas. "Come, Holy Spirit" will be familiar from spiritandsong.coms The Commons and Never Too Young, OCP's middle school songbook. A cover of the classic song by Rich Mullins, "You Did Not Have a Home" is a folk-style tribute to the humanity-- and poverty-- of Christ: "The hope of the whole world rests / on the shoulders of a homeless man." Arranged for synth pad, sitar and acoustic guitar, "You Are My Shepherd" is a psychedelic-rock meditation on Psalm 23. One of the more electric, vigorous tracks, "You Stand Knocking" proclaims loyalty to Christ -- and gratitude for grace and mercy: "though I wandered and have strayed, / still your mercy reigns." "To be captured in [God's] storm of love is to be truly free"
As Tom explains in the liner notes, "To be captured is to be caught up in the exhilarating, sometimes frightening, but always life-giving storm of God's love. To allow oneself to be caught up or captured in this storm of love is to be truly free." Sporting an entirely new, more organic sound, Captured hearkens back to Tom's early work -- epic ballads like "I Will Choose Christ," "Here I Am" and "Fragrance Prayer." A masterpiece of contemporary Catholic music, it creates a place to encounter the living God. 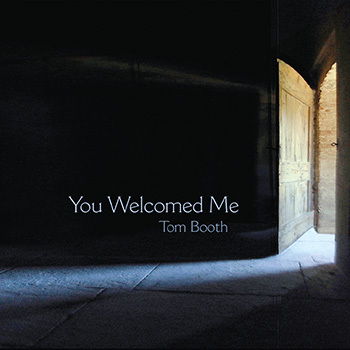 Get a taste of Tom Booth's music on his extended single, which includes two bonus tracks. The oversize octavo contains reprintable assembly editions for use at youth group meetings, retreats, contemporary Masses and more. This collection is an ear-pleasing mix of time-tested favorites, Unity Award winners, and hits from his most recent album, Unravel. Released during Tom's nationwide tour with John Michael Talbot (the "Monk Rock Tour"), the disc includes two brand new songs and 15 classics from his previous albums, several of them re-mixed and re-recorded to sound better than ever. From edgy, hard-rocking epics like "Taste of Heaven" to wispy acoustic ballads like "My Lady," the album reflects the wide range of moods and styles -- and the intensity of devotion -- in Tom's music. It's only fitting that the new songs, "Slipping" and "You to Blame," find their way to the public on this CD. Featuring ingenious arrangements and conscience-grabbing lyrics, they both would have ended up on a best-of collection eventually. 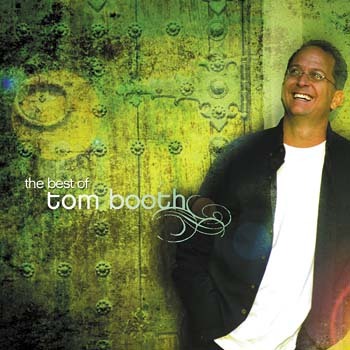 Recorded partly at Abbey Road Studios in London, famous their Beatles albums, The Best of Tom Booth is a must-have for Booth fans. For those who aren't familiar with him, it's an excellent introduction to one of contemporary Catholic music's most gifted artists. 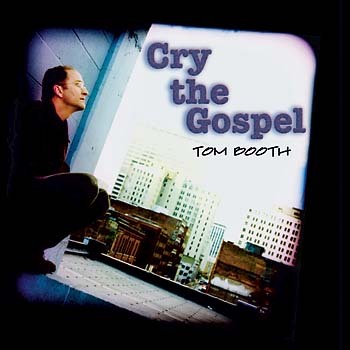 More about faith than fear, more about life than death, Tom Booth's most recent album Time Stands Still is a reflection on the themes of eternity and living life in complete reliance on the grace of God. Energetic and uplifting, it serves as a reminder that our eyes need to be focused on Jesus, even as the storms draw near. From upbeat bluegrass to slow, sweet ballads and energetic worship songs, Tom’s latest collection will take you on a musical journey that will keep you on your toes as you wait to hear what’s coming next. A couple of the songs were recorded in Nashville, Tennessee and feature some of the best instrumentalists from the area—listen to the banjo on "You Are All that I Need" and you’ll hear for yourself. Working with critically acclaimed Matt Maher, Tom co-wrote "By the Love of God" and the result is a strong liturgical and sacramental worship song. "My Lord Walks upon the Water" is a moving, prayer-driven piece that unites lyric and melody in a perfect, flowing way. Based on the spirituality of Saint John of the Cross, "Tear Through the Veil" closes the record and its lyrics resound with a truth that cannot be denied. Perfect for personal reflection and meditation, many songs also work well for contemporary liturgy. When Tom released this self-titled debut, people took notice. Now one of the most popular and respected artists in contemporary Christian music, he's been leading the pack ever since. The album is a masterful blend of original music and innovative covers of classics like Twila Paris' "He Is Exalted," Rich Mullins' "Awesome God," and even Bob Marley's "One Love." It offers an eclectic mix of musical styles, from jazz, rock and pop to reggae and gospel. Funky rhythms and harmonically unpredictable solos combine with inspiration from the Beatles and Stevie Wonder, making for a wonderful listening experience. Tom's gift for songwriting shines through these early compositions, with lyrics that emphasize a personal knowledge of a gentle, faithful and powerful God. "Crux of the Matter" is about trusting in God's grace during times of struggle. "Here I Am" suggests God is closer than you think, "standing right beside you." "This is the album I've always wanted to do," Tom says. "I've recorded the songs I love to sing." We're all familiar with incidents in which famous people "unraveled," ruining their reputation through some scandal. That's not the way God wants us, as Christians, to go down. Rather, he calls us, as Tom puts it, to "drown gracefully," to die to self, to "unravel" in imitation of Christ. 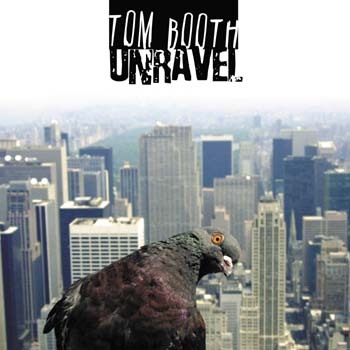 Tom's fifth album reflects on this unraveling that Christ calls us to daily. Set to an invigorating pop-rock sound and performed by an incredible cast of musicians, the message of Unravel is one you'll want to hear over and over. Tom composed and recorded the title track and four other songs in the tradition of the classic American/British rock song. The album also includes lushly arranged ballads and songs with parts for cello, Hammond B-3 organ and even ukulele. The classic Christian poem "The Hound of Heaven" comes to life in "The Shade of Your Hand," which ends with an unforgettable guitar solo by the legendary Phil Keaggy. Phil is just one of many amazing guest musicians Tom gathered for this project. Steve Ferrone, who has played with George Harrison, Eric Clapton and Tom Petty, and who is considered one of the world's finest rock drummers, performs on several tracks. Other guests include Fr. Stan Fortuna (jazz/hip-hop/rap artist and Franciscan priest), ValLimar Jansen (renowned gospel singer), Matt Maher, keyboardist Carl Herrgesell (Kenny Loggins, Elton John), drummer Tony Mora (Kathy Troccoli, Point of Grace), drummer/percussionist Will Denton (DC Talk, Steven Curtis Chapman), Dave Cleveland on guitar, and studio ace/bass player Matt Pierson (Rich Mullins and others). 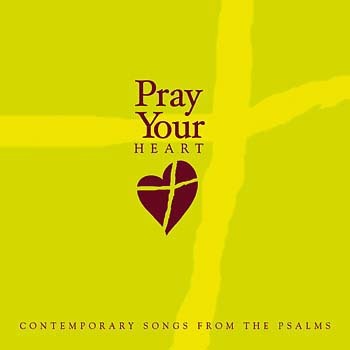 Providing songs for both listening and communal worship, the collection includes three guitar-based psalm settings with breezy, melodic, acoustic styling. 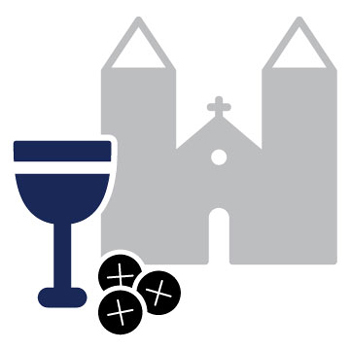 Other songs can serve for gathering and other parts of a liturgy or prayer service. All in all, Unravel exceeds expectations. This You Welcomed Me CD offers recordings of eight inspiring contemporary songs for our faith journey. 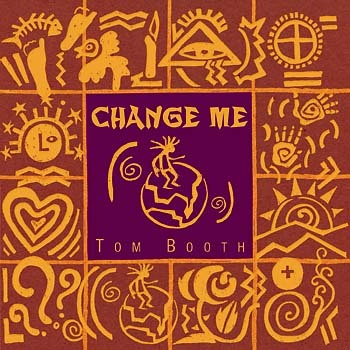 For his new album, Tom Booth added a sweet Martin acoustic to his electric guitar and amps. A chamber orchestra squeezed in beside his rock band. The result: a more driving, organic, intimate collection. Like candles in a small chapel, the 12 songs on Captured illumine the face of the Lord, guiding listeners to a place of deep prayer and praise. Drawing from Scripture, saints and mysticsThomas Merton, Charles de Foucauld and Teresa of Avila among themthe lyrics have startling theological depth. Contemplative, candid and serious, they challenge us to give Christ exclusive allegiance in our lives. The album opens with Can We Love? This string-based ballad contends that loving God is more than raising our hands or even singing this song. The refrain echoes Christs challenge to James and John: Can we love? Can we lay down our lives? Can we wear His crown of thorns? The intense, acoustic title track warns against building our house on sand, our lives on selfishness. Separated from Christ through pride, we construct monuments doomed to fall. Randy Severences poetic text is unflinching: under the weight of my own importance, / I am crumbling into a thousand grains of sand. Empty touches on these same themes. Another beautifully arranged ballad, it urges us to move toward the poverty of Jesus, who emptied himself for us. Robert Feduccias refrain echoes both Job and St. Augustine: Empty I came, empty I leave, / my heart is restless without you. A lesson in detachment a la Lilies of the Field, God Alone Is Enough is a rock anthem that includes snippets from the famous poem by Teresa of Avila. O Salutaris Hostia (O Saving Lamb) only adds to the devotional nature of the collection. Its a welcome new contemporary setting of the timeless eucharistic hymn by Thomas Aquinas. 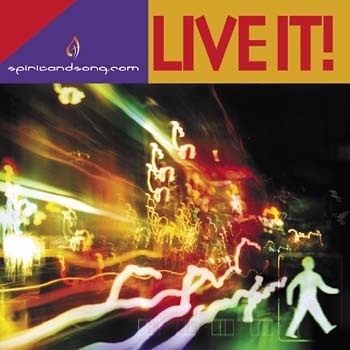 Come, Holy Spirit will be familiar from spiritandsong.coms The Commons and Never Too Young, OCPs middle school songbook. A cover of the classic song by Rich Mullins, You Did Not Have a Home is a folk-style tribute to the humanityand povertyof Christ: The hope of the whole world rests / on the shoulders of a homeless man. Arranged for synth pad, sitar and acoustic guitar, You Are My Shepherd is a psychedelic-rock meditation on Psalm 23. One of the more electric, vigorous tracks, You Stand Knocking proclaims loyalty to Christand gratitude for grace and mercy: though I wandered and have strayed, / still your mercy reigns. As Tom explains in the liner notes, To be captured is to be caught up in the exhilarating, sometimes frightening, but always life-giving storm of Gods love. To allow oneself to be caught up or captured in this storm of love is to be truly free. Sporting an entirely new, more organic sound, Captured hearkens back to Toms early workepic ballads like I Will Choose Christ, Here I Am and Fragrance Prayer. A masterpiece of contemporary Catholic music, it creates a place to encounter the living God. This guitar songbook provides guitar and vocal parts for all eight songs in You Welcomed Me. 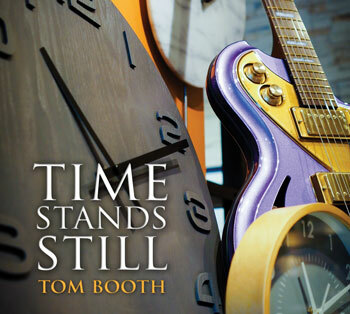 More about faith than fear, more about life than death, Tom Booth’s most recent album Time Stands Still is a reflection on the themes of eternity and living life in complete reliance on the grace of God. Energetic and uplifting, it serves as a reminder that our eyes need to be focused on Jesus, even as the storms draw near. This You Welcomed Me MP3 album offers recordings of eight inspiring contemporary songs for our faith journey. 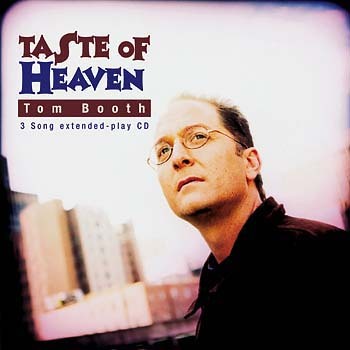 Tom Booth has been composing music for four decades. At the age of 17, he encountered the love of God in a personal and mystical way and his life’s focus changed forever. His journey led him to the University of Arizona (Go Cats!) where he majored in music history and minored in religious studies. It was also the beginning of his work in parish ministry. 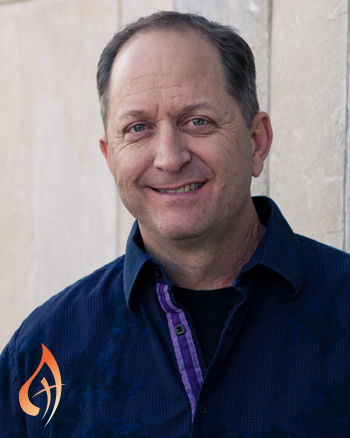 Since then Tom has spent years helping young people and families discover God’s love through music and worship. An incredibly gifted composer and musician, Tom has written countless songs for prayer, worship, liturgy and personal reflection. He has composed and performed songs for Mother Teresa and Pope Saint John Paul II. He has released nine collections as a solo artist, including You Welcomed Me, his latest. 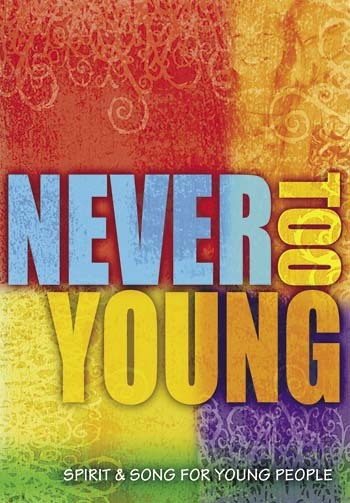 His song “By the Love of God” was the theme song for the 2013 National Catholic Youth Conference (NCYC). Classic songs like “I Will Choose Christ,” “Sacred Silence” and “Here I Am” have crossed over into the mainstream worship market. His trophy case includes numerous Dove, Unity and Grammy Award nominations. Currently Tom resides in Tucson, Arizona, where he fulfills his primary ministry: serving his wife and children. He is also a member of OCP’s music development team, helping to nurture budding contemporary Catholic composers. What Does God REALLY Want Us to do with our lives?